JK Rowling, Robert Galbraith and the trouble with blind tasting. 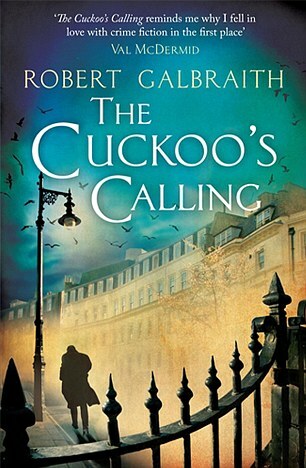 Robert Galbraith – or JK Rowling as we should now call “him” – wrote a very good thriller. The sleuth, Cormoran Strike, was, according to critic Mark Billingham, “one of the most unique and compelling detectives I’ve come across in years”. Another reader – Val McDermid, author of The Wire In The Blood, said the book reminded her why she “fell in love with crime writing in the first place”. Online reader reviews were very laudatory too. All of which contributed to sales of 1,500 copies in the three months since publication. Quite respectable for a – supposed – first novel, but hardly spectacular. Today, since the unmasking of Ms Rowling as the author, the same book has become an instant best-seller. I’ll bet that the people who buy it today – and even the ones who read it last week, will all be more excited by the experience than when the novel was apparently penned by a “former plain-clothes Royal Military Police investigator”. And that’s the flaw of blind tasting, I’m afraid. However delicious the Cru Bourgeois that outscores Chateau Lafite in a blind line-up, and however much cheaper it is, and however likeable the winemaker, most normal people will still be a lot more excited to have a glass of the first growth in their hand than the great-value humbler effort. Maybe Rowling’s boy wizard could cook up a way to remedy that human character trait, but I certainly never had much success in doing so in all my years as a competition chairman and critic. You may care to read a separate recent post which I think has a bearing on this story. The critical comments only serve to show how an excellent author's talent shines through even when read “blind”. For wine the differences between individual palates makes this more problematic but let's not overlook that brand image certainly changes perception for fashion items, watches and many other items as well.